One of the worst things a funeral director has to do, is to visit a family who have no idea what to do when they have lost their loved one. Some people find it an uncomfortable subject to talk about, but, we believe it’s always a good idea to let somebody know your wishes and it also relieves the stress of unexpected costs at a time when you have lost somebody close. 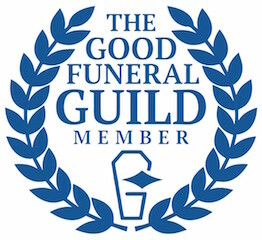 We decided to choose Avalon Funeral Plans as our partner when providing funeral plans as they are not only one of the leading plan providers in the United Kingdom, and so far, as we know, the only funeral plan provider who guarantee to cover all costs (cremation only). If a burial is your wish, then we would advise you to purchase your burial plot at today’s price. Most cemetery’s offer this option (with the exception of Trane in Tonyrefail) and it guarantees any unexpected charges. The other cost would be to prepare the grave when needed but we can include this in the plan. Please see our pricing page for details of current costs. These costs usually rise annually. These days there are many companies offering funeral plans. Most companies tend to offer set plans. For example, Bronze (Basic coffin, no limousines & no visiting of their loved ones) Silver (Standard coffin, one limousine & visiting of their loved during office hours) & Gold (Superior coffin, two limousines & visiting your loved one at any time). Generally, these plans will make a contribution to disbursements or third party costs, and very often leave the family or persons arranging the funeral to provide the shortfall. We think that these plans don’t give people the choice they need, so all our funeral plans are unique to the person. We believe that every funeral plan should be different and unique, and we also understand that things change. Your plan with us would ensure that your wishes would be carried out, your choice of coffin, your choices of music, the crematorium, cemetery or burial ground you would like to use. But remember that anything can be changed at any time in the future just contact us and we can arrange it. This includes everything that the funeral director does. These include bringing your loved one into care, dressing them, supplying the coffin or casket, providing staff, vehicles, order of service sheets and advising on any necessary paperwork that needs to be completed. The simple answer is yes. The money is held by the Avalon Trustee Fund and strictly regulated by government legislation. Your plan can be used anywhere in the United Kingdom. What happens if the Funeral Home isn’t there anymore? 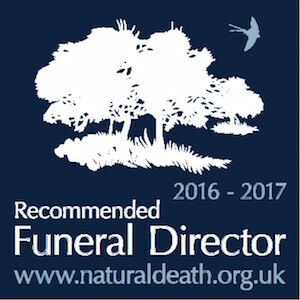 Your plan can be used with any independent funeral director in the area. If you have any further questions or would like to make an appointment to discuss an Avalon Funeral Plan, please contact us under no obligation. These are costs that are paid on your behalf. They include cremation or burial fees, newspaper notices, Doctors fees, ministers or celebrant’s fees.